However, the next part says i need to not only make subnets for the buildings but the point-point link on the router as well. I am a bit confused what I am suppose to do here. I believe I need to make 2 subnets for the buildings again but, I'm not sure what ip address I would use for the point-point. Would I use any ip address in the 2 subnets or do i need to use a network address. From my understanding point-point would mean the serial ports that connect the routers together. Seems my pictures were not properly placed in the post. The point to point links will need an address for each end point. Routers route between networks. You can think of a packet from Building 1 going to Building 2 as moving from network A, through the network between R1 and R2, to network B. The thing to do is work out how many networks you need, and what are the subnet masks for each network. Once you have that, work out the network addresses. 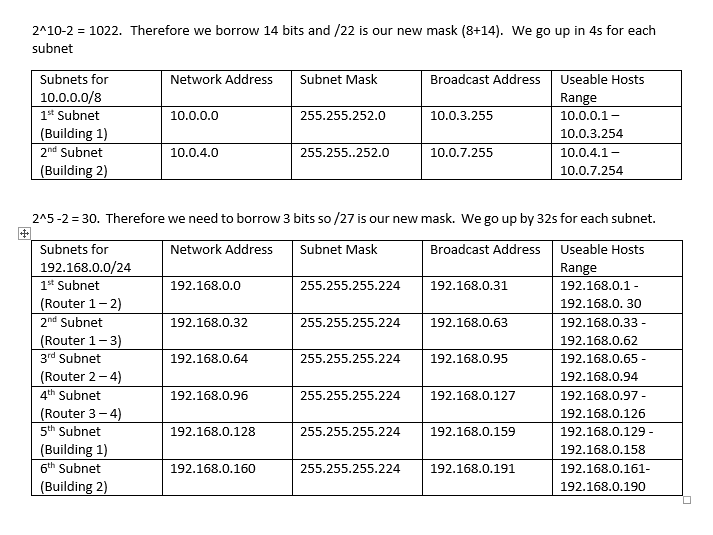 Then assign an address and subnet mask to each interface. Subnet your larger networks first. 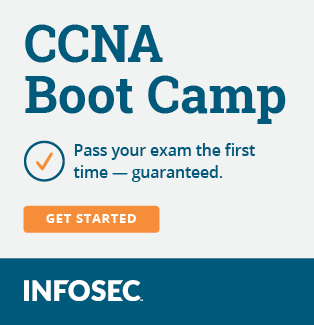 I didn't look at the pictures but for VLSM you always start with the larger first. Here's what i have done so far is it correct? For the point to point links, go back and count how many 'host' IPs you actually need. So, then how big do the subnets need to be for point to point links?